Metal Shark has joined forces with leading autonomous vessel technology developer ASV Global to introduce Sharktech Autonomous Vessels. What is Sharktech? Sharktech is the implementation of autonomous vessel technology into the full line of Metal Shark models. Sharktech autonomous vessels may be custom configured for military, law enforcement, fire rescue, and the full spectrum of applicable commercial markets. Sharktech is turnkey technology, now offered from the factory on every Metal Shark model. 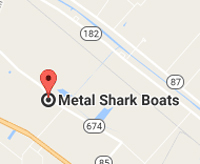 Check the box, and get the option, on any Metal Shark model ranging from 16′ to over 300′. 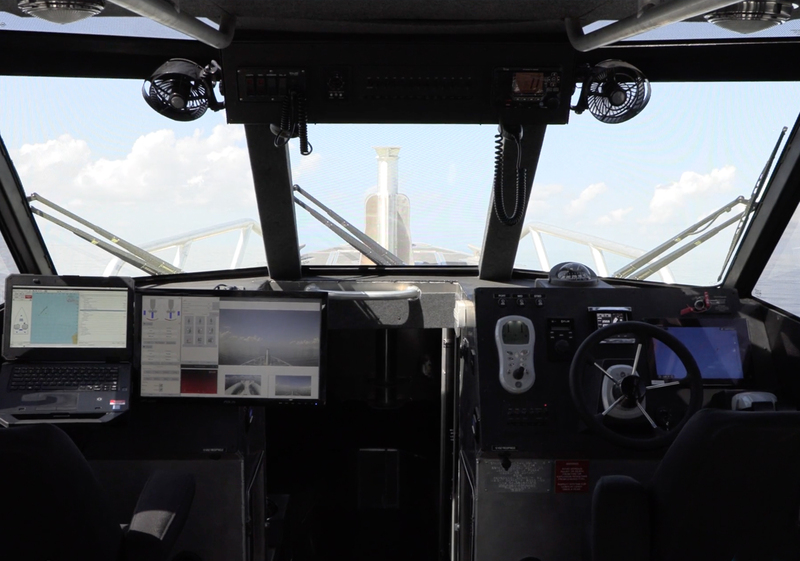 Control Modes: Sharktech allows operators to choose from conventional manned operation com p uter-assisted reduced-crew operation, or fully autonomous operation. The vessel may also be operated via handheld demote control, either from on board the vessel or nearby mothership. Switching between modes is instantaneous, for the widest possible range of mission flexibility. Crew Reduction: Sharktech opens up myriad opportunities for operators in all sectors, offering crew reduction at the flip of a switch. Sharktech is ideal for dangerous missions in remote or hostile environments, for endurance missions where it may be necessary for vessels to loiter in a holding pattern for extended periods, or for any mission simply undesirable for a human crew. Waypoint Navigation & Collision Avoidance: Sharktech can perform basic wayp 01nt navigation and execute complex pre-programmed mission routes. Additionally, Sharktech’s on board digital control system features dynamic collision avoidance with robust decision-making capability. Depending on configuration, the system considers data from multiple situational awareness inputs, including radars, daylight and thermal cameras, and AIS to safely identify and steer clear of stationary and moving obstacles. Component & Payload Integration: Sharktech’s ASView system allows for autonomous or remote operation of navigation and safety lighting, hailers and sirens, pumps, and other components. 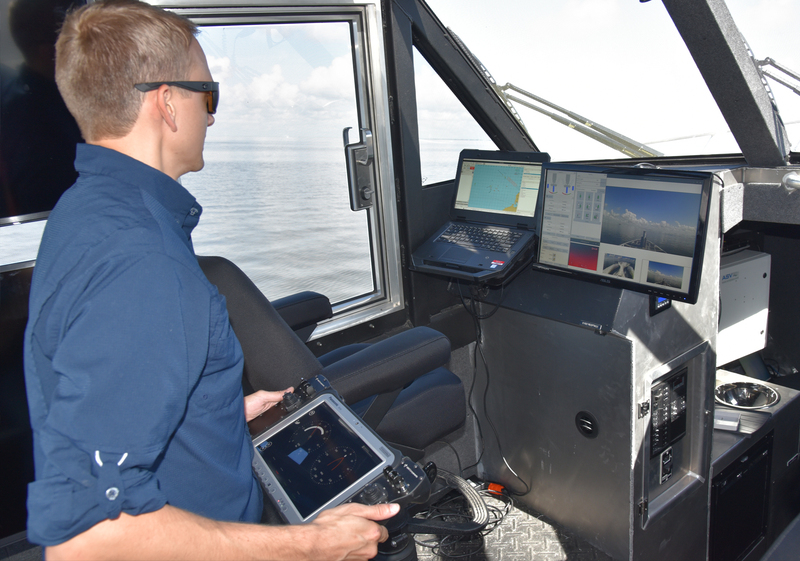 The system also supports the integration and autonomous or remote operation of a near-infinite range of specialized equipment, including fire pumps, monitors, and other fire-fighting equipment; hydrographic survey equipment; equipment for acoustic, oceanographic, or meteorological monitoring; and the full spectrum of FLIRs and other specialty cameras. Over 40 military and commercial payload types have been integrated into ASView systems to date. Remote Monitoring & Safety: A Sharktech vessel’s operations may be monitored from a mother ship via radio link, or from shore via satellite link. In the instance of lost primary and backup communications, the vessel will assume pre-programmed behavior, such as station-keeping. Other safety features include geo-fence tools, emergency-stop buttons, and the ability to switch from autonomous to manual control at any time. Accelerated Delivery Timelines: In order to rapidly meet anticipated demand, Metal Shark has pre-engineered its most popular models for Sharktech autonomous capability, and has also added Sharktech vessels to its Stock Boats program, which utilizes staged hulls and repurposes in-production units to drastically reduce lead times. Depending on propulsion and desired equipment, Metal Shark can currently deliver a fully-autonomous Sharktech-equipped 38 Defiant in as little as 60 days. For more information on Metal Shark’s autonomous capability, or to put a Sharktech-equipped vessel to work for you, contact us today. Read the Sharktech introductory press release.